Srila Gaura-kisora Dasa Babaji Maharaja (1838-1915) was the spiritual master of Srila Bhaktisiddhanta Sarasvati Thakura. 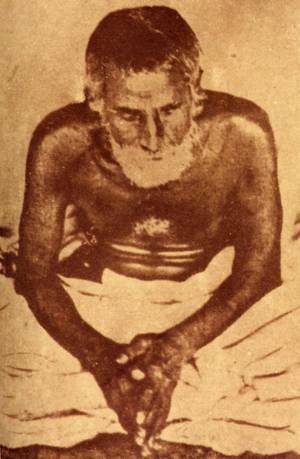 Not much is known of Gaura-kisora except that he was born on November 17th, 1838 in a well-to-do mercantile family in the village of Vagyana, near to 'Tepakhola' in the district of Faridpur, part of modern day Bangladesh. After his wife died when he was thirty years old, he accepted Babaji-vesa from Bhagavata Dasa Babaji, a disciple of Srila Jagannatha Dasa Babaji Maharaja. Gaura-kisora Dasa Babaji spent most of his time in Vrndavana and Navadvipa, deeply absorbed in bhajana. Gaura-kisora considered Bhaktivinoda Thakura as his siksa-guru and it was Bhaktivinoda who instructed his son, Vimala Prasada (later to become Bhaktisiddhanta Sarasvati Thakura) to take initiation from Gaura-kisora. In the year 1900 Gaurakisora Dasa Babaji gave initiation to Vimala Prasada who was given the name Sri Varsabhanavi-devi-dayita Dasa'. 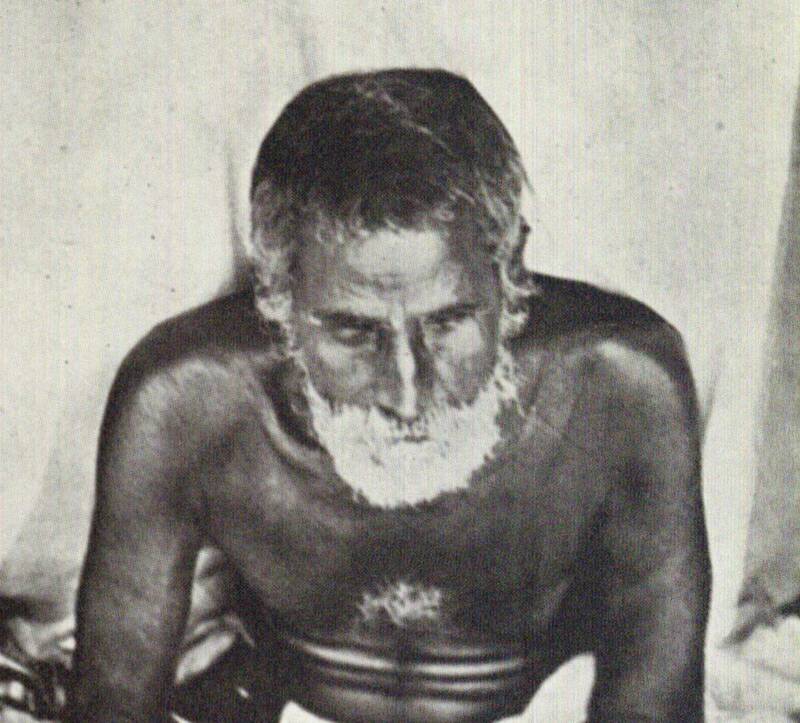 In 1908 Gaura Kisora dasa Babaji Maharaja lost his external sight and stopped travelling and just sat in on place chanting the Holy Names. Being an avadhuta (a paramahamsa aloof from external consciousness) sometimes he would forget to dress and would follow ekadasi vrata for many days, forgetting the time as he was deeply absorbed in chanting the Names of Radha-Krsna. On November 17th, 1915 Srila Gaura Kisora dasa Babaji Maharaja, on the auspicious day of Utthana Ekadasi left this world to enter the pastimes of Radha-Govinda. His body was placed into samadhi, but sixteen years later, due to the flooding of the Ganga, his samadhi had to be moved. Although there was a clamor amongst local babajis as to who would move the body to a different location, it was his only disciple, Sarasvati Thakura who understood the ill-motives of the so-called renunciates and claimed the body of his spiritual master and rebuilt his samadhi in the precincts of Sri Caitanya Matha in Mayapura.